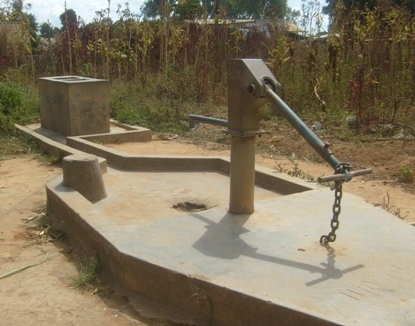 One of the objects of Chris Challis’s visit to Malawi in June was to finish a survey of wells in the Ekwendeni district. Many were found to be defective – some with minor problems, but about 40% were in need of major repair. Funds have now been donated to undertake a water well maintenance project through the water department of Ekwendeni Hospital Primary Health Care. In this pilot project, the wells will be repaired and local committees set up to report maintenace requirements and test water quality regularly. John will be visiting Ekwendeni soon to monitor the progress of the project. It is hoped that this project can be rolled out across Malawi, as the provision of clean water will make a great difference to the health of the region.